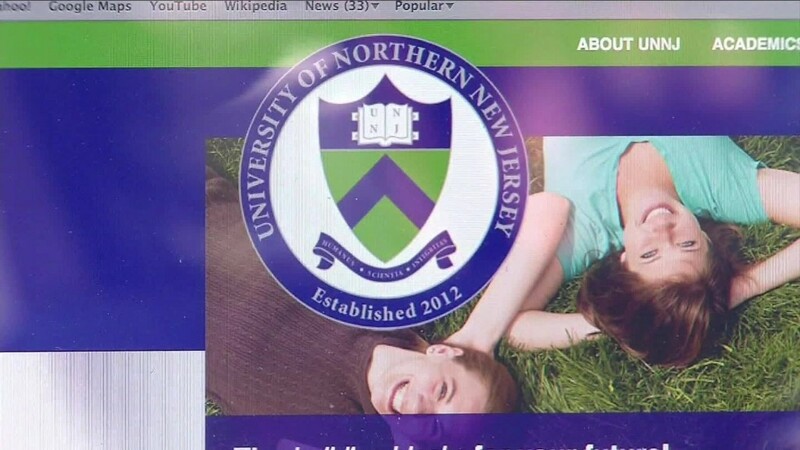 Ever heard of the University of Northern New Jersey? The school's website appeared real, with details on tuition costs ($12,620) and its seven undergraduate and nine graduate degree programs. It even had a Facebook page with posts about spring break operating hours and plans to expand from its Cranford location into Harrison, Hoboken and Morristown. But the college was a fake. It never held any classes and didn't have any professors. Federal agents had set it up to uncover a visa fraud scam. Twenty-one people were arrested Tuesday for allegedly conspiring with 1,000 foreigners to fraudulently maintain student visas and obtain worker visas. The college's website and Facebook page were taken down late afternoon. 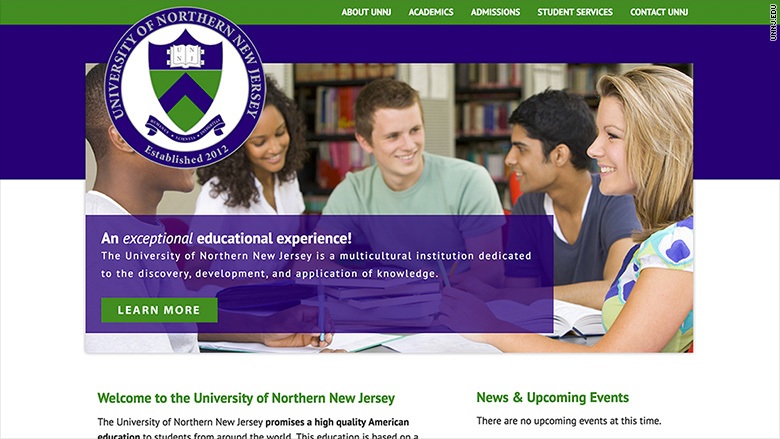 The University of Northern New Jersey had a website, but no classes. It was set up by undercover agents. Those arrested worked as "brokers" who solicited the university's administrators -- who were actually undercover agents -- to participate in the scheme. The brokers recruited foreign students to "enroll" and allegedly created false student transcripts and diplomas so that they could fool immigration authorities and keep their student visas, officials said. Most were from China and India and had previously entered the U.S. on legal student visas to attend a different, legitimate school. In some instances, the brokers are also accused of creating false employment contracts between the school and the foreign nationals so that they could fraudulently obtain worker visas. They paid the undercover agents thousands of dollars to put the school's letterhead on phony documents. The 1,000 foreign "students" have not been arrested, but their visas will be terminated and they will likely have to leave the country, officials said. About 1.2 million foreigners are currently in the U.S. on legal student visas, according to the Department of Homeland Security. Most come from Asia and are enrolled in Bachelor's or Master's programs. New York University has about 13,800 students currently enrolled on student visas, more than any other college. Those who want to come to the U.S. to study must first be admitted to a college certified by the agency and then apply for the visa. They can generally stay as long as they continue taking and passing classes. Those charged and arrested Tuesday are alleged to be "amongst the (immigration) system's most egregious violators," said Immigrations and Customs Enforcement Director Sarah Saldana in a statement. "While the U.S. fully supports international education, we will vigorously investigate those who seek to exploit the U.S. immigration system," she said.